Gustavo Díaz Ordaz Bolaños (Spanish pronunciation: [gusˈtaβo ˈðias oɾˈðas] ; 12 March 1911 – 15 July 1979) was a Mexican politician and member of the Institutional Revolutionary Party (PRI). He served as the President of Mexico from 1964 to 1970. Díaz Ordaz was born in San Andrés Chalchicomula and obtained a law degree from the University of Puebla in 1937 where he later became its vice-rector. He represented Puebla's 1st district in the Chamber of Deputies from 1943 to 1946. Subsequently he represented the same state in the Chamber of Senators from 1946 to 1952 becoming closely acquainted with then-senator Adolfo López Mateos. Adolfo López Mateos was a Mexican politician who became a member of the Institutional Revolutionary Party (PRI), after earlier opposing its precursor in 1929. He was elected President of Mexico, serving from 1958 to 1964. Díaz Ordaz joined the campaign of Adolfo Ruiz Cortines for the 1952 election and subsequently worked for the Secretariat of the Interior under Ángel Carvajal Bernal. He became the secretary following López Mateos victory in the 1958 election and exercised de facto executive power during the absences of the president, particularly during the Cuban Missile Crisis. In 1963, the PRI announced him as the presidential candidate for the 1964 election, he received 88.81% of the popular vote. Adolfo Tomás Ruiz Cortines was a Mexican politician who served as 47th President of Mexico from 1952 to 1958, as the candidate for the Institutional Revolutionary Party (PRI). Unlike his predecessor as president Miguel Alemán and his successor Adolfo López Mateos, he had participated in the Mexican Revolution. He was one of the oldest presidents of Mexico, perhaps best remembered for granting women the right to vote in presidential elections and stimulating the Mexican economy during the period known as the Mexican Miracle. Ángel Carvajal Bernal (1901–1985) was a Mexican politician. The Cuban Missile Crisis, also known as the October Crisis of 1962, the Caribbean Crisis, or the Missile Scare, was a 13-day confrontation between the United States and the Soviet Union initiated by American ballistic missile deployment in Italy and Turkey pointing at the Soviet Union. With consequent Soviet ballistic missile deployment in Cuba. The confrontation is often considered the closest the Cold War came to escalating into a full-scale nuclear war. Following a summer of increasingly large demonstrations in Mexico City protesting the 1968 Mexico City Olympics, armed forces of Mexico opened fire October 2, 1968 on unarmed civilians, killing an undetermined number, likely in the hundreds. 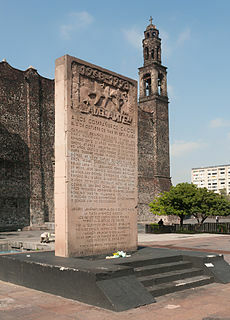 It occurred in the Plaza de las Tres Culturas in the Tlatelolco section of Mexico City. The events are considered part of the Mexican Dirty War, when the government used its forces to suppress political opposition. The massacre occurred 10 days before the opening of the 1968 Summer Olympics in Mexico City. After passing on presidency to his own Secretary of the Interior (Luis Echeverría), Díaz Ordaz retired from public life. He was briefly the Ambassador to Spain in 1977, a position he resigned after strong protests and criticism by the media. He died of colorectal cancer on 15 July 1979 at the age of 68. Luis Echeverría Álvarez is a Mexican politician affiliated with the Institutional Revolutionary Party (PRI) who served as the 50th President of Mexico from 1970 to 1976. At 97, he is currently the oldest living former Mexican president. Díaz Ordaz Bolaños was born in San Andrés Chalchicomula (now Ciudad Serdán, Puebla), the second of four children. 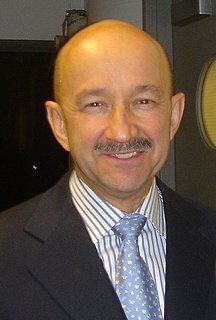 In his later years his father, Ramón Díaz Ordaz Redonet, worked as an accountant. However, for a decade he served in the political machine of President Porfirio Díaz, becoming the jefe político and police administrator of San Andrés Chilchicomula. With the ouster of Díaz by revolutionary forces in May 1911 at the outbreak of the Mexican Revolution, he lost his bureaucratic post in the regime change. Subsequently, the family's financial situation was insecure, and Díaz Ordaz's father took a number of jobs and the family frequently moved. He claimed ancestry with conqueror-chronicler Bernal Díaz del Castillo. Gustavo's mother, Sabina Bolaños Cacho de Díaz Ordaz, was a school teacher, described as "stern and pious." Gustavo, as well as his older brother Rámon, had a weak chin and large protruding teeth and was skinny. "His mother would freely say to anyone, 'But what an ugly son I have!'" His lack of good looks became a way to mock him when he became president of Mexico. Ciudad Serdán is the municipal seat of Chalchicomula de Sesma Municipality in the Mexican state of Puebla. Puebla, officially the Free and Sovereign State of Puebla is one of the 31 states which, with the Federal District, comprise the 32 Federal Entities of Mexico. It is divided in 217 municipalities and its capital is the city of Puebla. José de la Cruz Porfirio Díaz Mori was a Mexican general and politician who served seven terms as President of Mexico, a total of 31 years, from February 17, 1877 to December 1, 1880 and from December 1, 1884 to May 25, 1911. A veteran of the War of the Reform (1858–60) and the French intervention in Mexico (1862–67), Díaz rose to the rank of General, leading republican troops against the French-imposed rule of Emperor Maximilian. Seizing power in a coup in 1876, Díaz and his allies, a group of technocrats known as "Científicos", ruled Mexico for the next thirty-five years, a period known as the Porfiriato. When the family lived for a time in Oaxaca, young Díaz Ordaz attended the Institute of Arts and Sciences, whose alumni included Benito Juárez and Porfirio Díaz. He was a serious student, but due to his family's financial circumstances, he could not always buy the textbooks he needed. At one point, the family lived as a charity case with a maternal uncle in Oaxaca, who was a Oaxaca state official. The family had to absent themselves when powerful visitors came to the residence. While Gustavo attended the institute, his older brother Ramón taught there after studies in Spain, teaching Latin. A student mocked Professor Ramón Díaz Ordaz's ugliness, and Gustavo defended his brother with physical force. Díaz Ordaz graduated from the University of Puebla on 8 February 1937 with a law degree. He became a professor at the university and served as vice-rector from 1940 to 1941. The young Díaz Ordaz in 1938, behind President Lázaro Cárdenas. In a photo from 1938, Díaz Ordaz stands behind President Lázaro Cárdenasm who is front and center. Also in the photo are two other future presidents of Mexico, Manuel Avila Camacho and Miguel Alemán. His political career had a modest start. He had not fought in the Revolution and his father had been part of Porfirio Díaz's regime, so his political rise was not straightforward. He served in the government of Puebla from 1932-43. In 1943, he became a federal politician, serving in the Chamber of Deputies for the first district of the state of Puebla, and he served as a senator for the same state from 1946 to 1952. He came to national prominence in the cabinet of Mexican President President Adolfo López Mateos from 1958 to 1964, a Minister of the Interior (Gobernación). On 18 November 1963, he became the presidential candidate for the Institutional Revolutionary Party (PRI). Despite facing only token opposition, Díaz Ordaz campaigned as if he were the underdog. He won the presidential election on 5 July 1964. Díaz Ordaz assumed the presidency on 1 December 1964 at the Palacio de Bellas Artes. There he took oath before the Congress of the Union presided by Alfonso Martínez Domínguez. Former president Adolfo López Mateos turned over the presidential sash and Díaz Ordaz delivered his inaugural address. As president, Díaz Ordaz was known for his authoritarian manner of rule over his cabinet and the country in general. His strictness was evident in his handling of a number of protests during his term, in which railroad workers, teachers, and doctors were fired for taking industrial action. A first demonstration of this new authoritarianism was given when he used force to end a strike by medics. Medics of the Institute for Social Security and Services for State Workers, especially residents and interns, had organized a strike to demand better working conditions and an increased salary. His authoritarian style of governing produced resistance such as the emergence of a guerrilla movement in the state of Guerrero. Economically, the era of Díaz Ordaz was a time of economic growth. He established the Mexican Institute of Petroleum in 1965, an important step since oil has been one of Mexico's most productive industries. Effigy of Díaz Ordaz at an anti-government protest in 2009. When university students in Mexico City protested the government's actions around the time of the 1968 Summer Olympics, Díaz Ordaz oversaw the occupation of the National Autonomous University of Mexico and the arrest of several students, leading to the shooting of hundreds of unarmed protesters during the Tlatelolco massacre in Downtown Mexico City on 2 October 1968. The Mexican army fired ruthlessly because a group called "Battalion Olympia" started the shooting between the unarmed students and many other people who let the students take shelter inside their homes. [ citation needed ] Statistics concerning the casualties of this incident vary, often for political reasons. Some people were kept imprisoned for several years. The crackdown would eventually be denounced by Díaz Ordaz's successors, and ordinary Mexicans view the assault on unarmed students as an atrocity. The stain would remain on the PRI for many years. During the administration of Díaz Ordaz, relations with the US were largely harmonic, and several bilateral treaties were formed. President Richard Nixon hosted the first White House state dinner to be held outside Washington, D.C. in Diaz Ordaz's honor, at San Diego's Hotel del Coronado on September 3, 1970. President Gustavo Díaz Ordaz (left) riding a presidential motorcade in San Diego, with US President Richard Nixon. After his term expired, Díaz Ordaz and his family vanished completely from the public eye; he was occasionally mentioned in newspapers (usually in a derogatory manner), he seldom gave interviews, and he was usually spotted only when voting in elections. In 1977, a break from that obscurity came as he was appointed as the first Ambassador to Spain in 38 years, relations between the two countries having previously been broken by the triumph of Falangism in the Spanish Civil War. During his brief stint as Ambassador, he met with hostility from both the Spanish media and the Mexican media, as he was persistently asked questions about his actions as President. He resigned within several months because of that and his health problems. Popular discontent led to a catchy phrase: "Al pueblo de España no le manden esa araña" ("To the people of Spain, do not send that spider"). He died in Mexico City of colorectal cancer. Licenciado Gustavo Díaz Ordaz International Airport in Puerto Vallarta is named after him. Aguilar Camín, Héctor. "Nociones presidenciales de cultura nacional. De Álvaro Obregón a Gustavo Díaz Ordaz." En torno a la cultura nacional (1976). Krauze, Enrique. Mexico: Biography of Power, especially chapter 21, "Gustavo Díaz Ordaz: The Advocate of Order". New York: HarperCollins 1997. Loaeza, Soledad. "Gustavo Díaz Ordaz: el colapso del milagro mexicano." Lorenzo Meyer and Ilán Bizberg (coords. ), Una Historia Contemporánea de México 2 (2005): 287-336. Smith, Peter H. "Mexico Since 1946: Dynamics of an Authoritarian Regime", in Bethell, Leslie, ed., Mexico Since Independence. Cambridge, UK. Cambridge University Press. 1991. Francisco Ignacio Madero González was a Mexican revolutionary, writer and statesman who served as the 33rd president of Mexico from 1911 until shortly before his assassination in 1913. He was an advocate for social justice and democracy. Madero was notable for challenging Mexican President Porfirio Díaz for the presidency in 1910 and being instrumental in sparking the Mexican Revolution. José Guillermo Abel López Portillo y Pacheco, was a Mexican lawyer and politician affiliated with the Institutional Revolutionary Party (PRI) who served as the 51st President of Mexico from 1976 to 1982. López Portillo was the only official candidate in the 1976 Presidential election, being the only President in recent Mexican history to win an election unopposed. Manuel Ávila Camacho was a Mexican politician and military who served as the President of Mexico from 1940 to 1946. Although he did participate in the Mexican Revolution and achieved a high rank, he came to the presidency of Mexico because of his direct connection to General Lázaro Cárdenas, as a right-hand man, serving as his Chief of his General Staff during the Mexican Revolution and afterwards. He was called affectionately by Mexicans "The Gentleman President". As president, he pursued "national policies of unity, adjustment, and moderation." His administration completed the transition from military to civilian leadership, ended confrontational anticlericalism, reversed the push for socialist education, and restored a working relationship with the U.S. during World War II. The Authentic Party of the Mexican Revolution was a Mexican political party that existed from 1955 to 2000. PARM was generally considered a satellite party of the governing Institutional Revolutionary Party (PRI). The LX Legislature (60th) of the Congress of Mexico met from September 1, 2006, to September 1, 2009. All members of both the lower and upper houses of Congress were elected in the elections of July 2006. Pascual Ortiz Rubio was a Mexican politician and the President of Mexico from 1930 to 1932. He was one of three Mexican presidents to serve out the six-year term (1928-1934) of assassinated president-elect Álvaro Obregón, while former president Plutarco Elías Calles retained power in a period known as the Maximato. Calles was so blatantly in control of the government that Ortiz Rubio resigned the presidency in protest in 1932. La Onda was a multidisciplinary artistic movement created in Mexico by artists and intellectuals as part of the worldwide waves of the counterculture of the 1960s and the avant-garde. Its followers were called "onderos", "macizos" or "jipitecas". La Onda encompassed artistic productions in the worlds of cinema, literature, visual arts and music and strongly addressed social issues of the time such as women's rights, ecology, spirituality, artistic freedom, open drug use and democracy in a country tightly ruled by the PRI. According to Mexican intellectual Carlos Monsiváis, La Onda was "a new spirit, the repudiation of convention and prejudice, the creation of a new morality, the challenging of proper morals, the expansion of consciousness, the systematic revision and critique of the values offered by the West as sacred and perfect." The Mexican Movement of 1968, the Mexican Student Movement or the Student Movement was a social movement was a coalition of students from Mexico's leading universities that garnered widespread public support for political change in Mexico, particularly since the government had spent large amounts of public funding to build Olympic facilities for the 1968 Mexico City Olympic Games. Student mobilization on the campuses of the National Autonomous University of Mexico, National Polytechnic Institute, El Colegio de México, Chapingo Autonomous University, Ibero-American University, Universidad La Salle and Meritorious Autonomous University of Puebla, among others created the National Strike Council. Its efforts to mobilize Mexicans for broad changes in national life was supported by sectors of Mexican civil society, including as workers, peasants, housewives, merchants, intellectuals, artists, and teachers. The movement had a list of demands for the Mexican president Gustavo Díaz Ordaz and Government of Mexico for specific student issues as well as broader ones, especially the reduction or elimination of authoritarianism. In the background, the movement was motivated by the global Protests of 1968 and struggled for a democratic change in the country, more political and civil liberties, the reduction of inequality and the resignation of the government of the ruling Institutional Revolutionary Party (PRI) that they considered authoritarian. The political movement was suppressed by the government with the violent government attack on a peaceful demonstration on 2 October 1968, known as the Tlatelolco Massacre. There were lasting changes in Mexican political and cultural life because of the 1968 mobilization. Events in the year 1968 in Mexico. Rafael Moreno Valle was a Mexican military physician and politician. A member of PRI, he served as the Governor of Puebla from 1969 to 1974, as well as the Secretary of Health from 1964 to 1968 under President Gustavo Díaz Ordaz. He was also a founding member of the Sociedad Mexicana de Traumatología y Ortopedia. The Silence March was a demonstration that was held in Mexico City on September 13, 1968. The purpose of the march was to protest against the Government of Mexico. The march was organized by the National Strike Council, the organization behind the Mexican Movement of 1968. ↑ "The ghosts of Mexico 1968". 24 April 2008. ↑ "20 YEARS AFTER A MASSACRE, MEXICO STILL SEEKS HEALING FOR TIS WOUNDS". 2 October 1988. ↑ "Mexico and the United States". ↑ Harold Dana Sims, "Gustavo Díaz Ordaz" in Encyclopedia of Mexico. Chicago: Fitzroy Dearborn 1997, p. 412. ↑ quoted in Krauze, Mexico: Biography of Power, p. 666. ↑ Krauze, Mexico: Biography of Power, p. 666. ↑ Sims, "Gustavo Díaz Ordaz", p. 412. ↑ Delgado de Cantú, Gloria M. (2007). Historia de México Vol. II. Pearson Educación de México. p. 319. ↑ Delgado de Cantú, Gloria M. (2004). Historia de México Vol. II. Pearson Educación de México. p. 423. ↑ Delgado de Cantú, Gloria M. (2007). Historia de México Vol. II. Pearson Educación de México. p. 335. ↑ Delgado de Cantú, Gloria M. (2003). Historia de México Vol. II. Pearson Educación de México. p. 314. ↑ Delgado de Cantú, Gloria M. (2003). Historia de México Vol. II. Pearson Educación de México. p. 327. ↑ Delgado de Cantú, Gloria M. (2003). Historia de México Vol. II. Pearson Educación de México. p. 328. ↑ Delgado de Cantú, Gloria M. (2004). Historia de México Vol. II,. Pearson Educación de México. p. 430. Wikimedia Commons has media related to Gustavo Diaz Ordaz .